I’ve already covered new and changed spells and glyphs and gear stats. It’s past time to take a look at new holy-relevant talents. There are some minor changes around the tree – some talents have been modified, some have been moved around – but the big changes are the ones worth noting. Effect: Increases the effect of your Concentration Aura by an additional 15% and reduces the duration of any Silence or Interrupt effect used against an affected group member by 30%. The duration reduction does not stack with any other effects. Finally this talent is in a sensible location, instead of its old spot in the Protection tree, so it’s now likely to feature strongly in many Holy builds. Effect: Reduces the mana cost and increases the resistance to Dispel effects of all Hand spells by 30%. 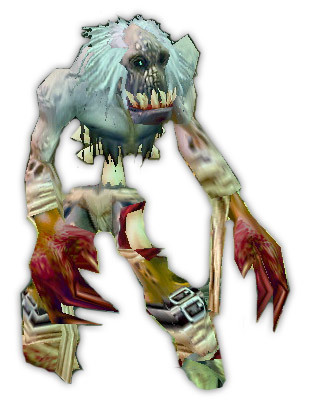 This is really a PvP talent, unless we see PvE fights with mobs dispelling us. Offensive dispelling was a real vulnerability for paladins in recent Arena seasons; if the same is true at level 80, this will be useful. Effect: Your Holy Shock critical hits reduce the cast time of your next Holy Light spell by 1 secs. This is a useful new Paladin talent which will become great once it’s patched to apply to Flash of Light as well (making FoL instant). A must-have, in my opinion. Some paladins feel that, in its current form, IoL doesn’t synergise terribly well with Light’s Grace. Neither of these talents reduce the GCD, so they don’t stack. However, if you expect to be using a lot of Holy Lights, it can be handy to use Divine Favor to force a Holy Shock crit, which procs Infusion of Light and gives you a 1.5 second Holy Light as a followup. This then procs Light’s Grace, meaning your next Holy Light (and any more while LG is up) takes 2 seconds. This is a good response to damage spikes; in the space of 5 seconds, you can squeeze out a crit Holy Shock and two Holy Lights, which is a decent amount of burst healing. Edit: The change to affect Flash of Light as well as Holy Light will happen in 3.0.3. Effect: Your Cleanse spell has a 30% chance to increase the target’s resistance to Disease, Magic and Poison by 30% for 10 sec. This is kind of terrible, really. It may be of use in PvP or in cleanse-heavy PvE fights, but it’s so very RNG (random number generator) dependent: it’s a 30% chance to add 30% resistance. For 10 measly seconds. Sure, it may be of use on occasion, but you could spend those 3 talent points to far better effect elsewhere. Effect: Increases the range of your Judgement spells by 20 yards and increases your chance to hit by 4%. I’m kind of ‘meh’ about this talent. 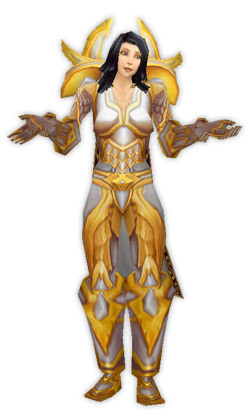 If you’re going to go as far as Beacon of Light it’s probably worth putting points into this, for the sake of the increased range – it’ll make judgements useful for pulling when soloing, for instance, or when tanking in Holy spec – but for raid content, I’m still not sure how much chance we’ll get to judge. Overall, I’d say take it for now if you’re going for Beacon, but keep an eye on how much you’re Judging and be ready to respec if these are wasted points. Edit: as of Patch 3.0.3 it’ll increase the range by 30 yards, which means you’ll be able to judge from max healing range (well, maybe a bit further in, depending on positioning, but near enough). Good change, and makes Judging a lot more viable. Effect: Your Judgement spells increase your casting and melee haste by 10% for 1 min. This is a pretty unpopular talent, which is partly a holdover from its original incarnation (where it only granted haste for 30 seconds – after subtracting the GCD used by the Judgement, it only barely gave one extra Holy Light per 30 seconds). It’s improved now, but it’s still widely considered to be ‘not worth the talent points’. I’m reserving judgement until I see some solid theorycrafting on it or until it’s changed. Edit: In 3.0.3 this increases to 15%, which may push it over the borderline of being worth taking, for those who were previously wavering on the issue. Effect: The target becomes a Beacon of Light to all targets within a 40 yard radius. Any heals you cast on those targets will also heal the Beacon for 100% of the amount healed. Only one target can be the Beacon of Light at a time. Lasts 1 min. So, it’s great in situations where you have two or more people who need a lot of healing – a MT/OT scenario, or something with a lot of splash damage. However, it still doesn’t enable you to heal more than two people at once, so it’s not an AoE solution, and in fights where there’s only one person taking a lot of damage it’s basically useless. Also note that it’s costly on mana and, for you PvP junkies, it can be dispelled. Use with caution, or the other team won’t even need to mana drain you. That said, it can be useful in PvP if you’re facing teams without a dispel; throw Beacon on yourself and heal your teammates, and you’ll stay up unless you’re getting heavily focused. This build features Infusion of Light and Divine Illumination on the Holy side, while spending 18 points in Retribution for the +8% to crit. This is particularly useful if you’re throwing around a lot of Holy Lights, and I’d recommend using the Glyph of Holy Light. This build goes all the way down to Beacon of Light in the Holy tree, although it skips Judgements of the Pure, spending the points instead on Aura Mastery, Improved Blessing of Wisdom, a second point into Improved Lay on Hands, and one last spare point which I parked in Blessed Life (on the grounds that more survivability is never a bad thing). The other ten points go 5 into Ret for Benediction (for cheaper Holy Shock, Seals and Judgements), and 5 into Prot for Kings (on the grounds that Kings is always useful, and no-one else wants to spend the points on it, and there’s nothing else you can get with your points that would be better). This build is a very versatile, supporting build. 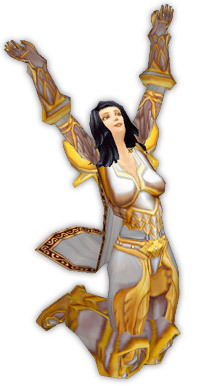 It gives the paladin the fast-casting of Infusion of Light, and then swaps to Retribution for the +8% Crit. It goes far enough into Ret to get Judgements of the Wise, for insane mana regeneration (about 1400 per Judgement, at 80) and the Replenishment buff for the raid as a whole. Note that the Retribution half of this build can be varied a lot, depending on what you’re doing. The build I’ve shown here includes Improved Blessing of Might, Divine Purpose, Sanctified Retribution and Improved Retribution Aura for raid support, along with Pursuit of Justice for mobility and Repentance for a CC option; however, you could easily swap in Two-Handed Specialization, Seal of Command and Vengeance if you wanted a fairly well-balanced DPS/healing hybrid. This is basically the level 70 Beacon of Light build, at least as far as the Holy tree goes. The remaining 20 points are mostly funneled towards Retribution for the Tier 3 and Tier 4 talents that give +Crit raiting. This build leaves 2 points spare for you to spend as you will; personally I’d put them into Pursuit of Justice for the mobility advantage. These are all intended to be talent builds centred around healing in end game co-op play (so, instancing, raiding or PvP). Intellect is a newly-valuable attribute in Wrath; as well as its existing benefits, it now directly affects our regen as well. Although I didn’t put any points into it in these builds, Improved Blessing of Wisdom isn’t a bad talent. At level 70 it’s worth 8 mp5; at level 80 it’s worth 18. That’s not a fantastic benefit for two talent points, compared with alternative uses for those points. There are potential synergies with a Holy/Prot combo, but I haven’t looked at them in depth yet. If people are interested, I’ll definitely take a look, though. One build I suggested above winds up with a ‘conflict’, having both Improved Concentration Aura and Improved Retribution Aura/Sanctified Retribution. However, these two auras rarely need to be on at the same time; when it’s a DPS race, put on Ret aura for the DPS boost from Sanctified Retribution, or when it’s a healing strain, put on Concentration Aura to minimise interruptions. 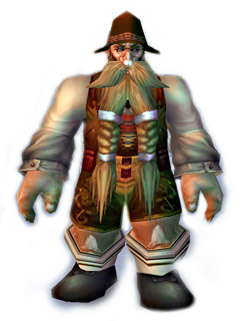 I’ve been umming and ahhing about my build choices for a while, but at the moment I’m leaning towards a 51/0/18 build for level 80 instancing and raiding, at least to begin with – and I’ll probably put those last two points into Pursuit of Justice, because I love it so. Edit: After the announcements for patch 3.0.3, here’s what I’m looking at as a build: 51/0/20. That last floating point in Holy could go into 1/2 Imp Blessing of Wisdom, 1/2 Imp Lay on Hands, 1/3 Blessed Life, or 1/1 Aura Mastery – I haven’t decided yet. Patch 3.0.2 has certainly brought a lot of people out of retirement – on swapping accounts today, I was greeted with a sight I haven’t seen for a long time! Not a big queue, sure, but I haven’t seen a queue at all for years. Impressive. P.S. Apologies for the lack of meaty content over the last few days; I’ve been too busy playing to blog! This is heartening; I just hope that however they change IoL – or the Holy Tree in general – ends up giving us some mobility back. My favourite suggestion so far is to have IoL proc an instant Flash of Light instead, or for it to reset the cooldown on Holy Shock. Either would be fine; it’s the division between “instant” and “1 second cast time” that’s the important one, not the division between “1 second cast time” and “2 second cast time”.